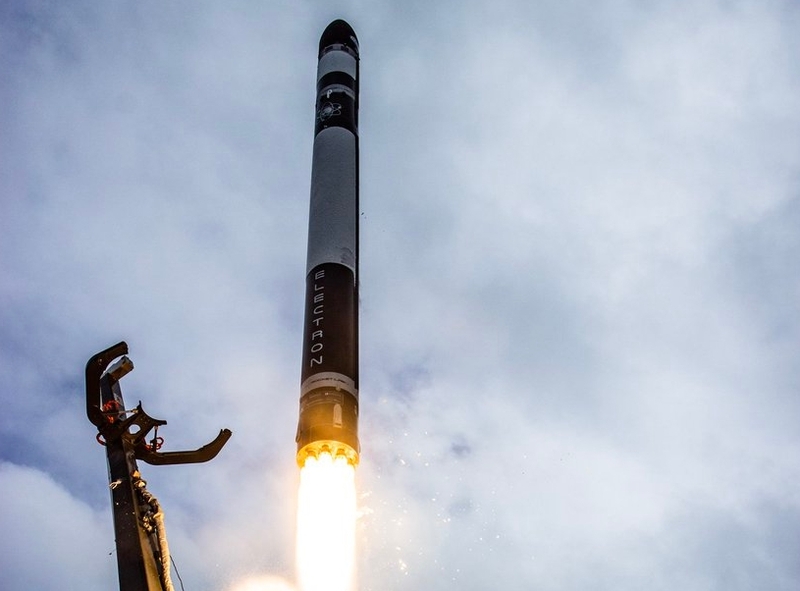 Rocket Lab is aiming for a rapid launch cadence in 2019, and begun that campaign with the first Electron launch of the year. The window to launch the R3D2 mission for DARPA was to open on Sunday at 22:30 UTC for four hours. However, a scrub was called for at least 48 hours due to a “video transmitter 13dB down with low performance” – while forecasted high winds moved the launch two days to the right, to Thursday. That attempt proved successful with an ontime launch. The Radio Frequency Risk Reduction Deployment Demonstration satellite is a technology demonstration mission for the Defense Advanced Research Projects Agency, the United States government’s military technology development agency. The mission was the first Electron launch dedicated to a single satellite on board, lofting the 150 kg spacecraft into a circular orbit, inclined 39.5 degrees, at an altitude of 425 km. R3D2’s mission is to qualify a prototype membrane reflect-array antenna, designed to improve radio communications in small spacecraft. On board is a compacted Kapton membrane antenna built by MMA Design, which deploys to 2.25 meters in diameter once in orbit. 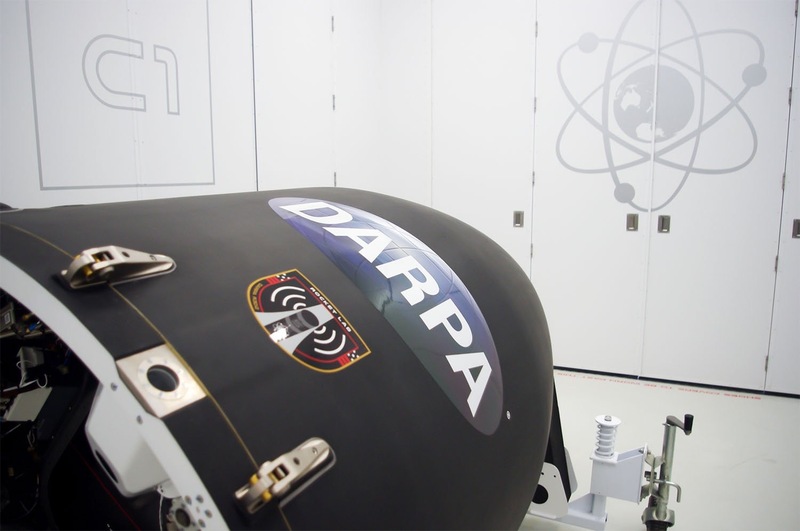 DARPA hopes R3D2 will validate concepts for space-based internet as well as communications capabilities for the United States Department of Defense. Radio systems aboard R3D2 were built by Trident Systems, and the payload is mounted on a spacecraft bus built by Blue Canyon Tech. Northrop Grumman is the mission’s prime contractor and integrator. Electron lifted off from Launch Complex 1, or LC-1, from the Mahia Peninsula in New Zealand. An integral part of Rocket Lab’s plan for monthly launches this year is bringing Launch Complex 2, or LC-2, online later this year. The new pad is being built in the Mid-Atlantic Regional Spaceport, at NASA’s Wallops Flight Facility in Virginia. A launch vehicle integration and assembly facility at LC-2 will support a rapid launch cadence, that Rocket Lab hopes will offer increased flexibility for their customers. The pre-launch testing campaign for the R3D2 mission started in December with the completion of stage 2 testing. Testing of Electron’s first stage occurred in late January. The vehicle was then stacked and rolled out to the pad on February 14. A wet dress rehearsal was completed on February 18, where launch teams conducted the launch countdown up until just before ignition, including fueling of the launch vehicle. The successful completion of this test prepared Electron for a late February launch. 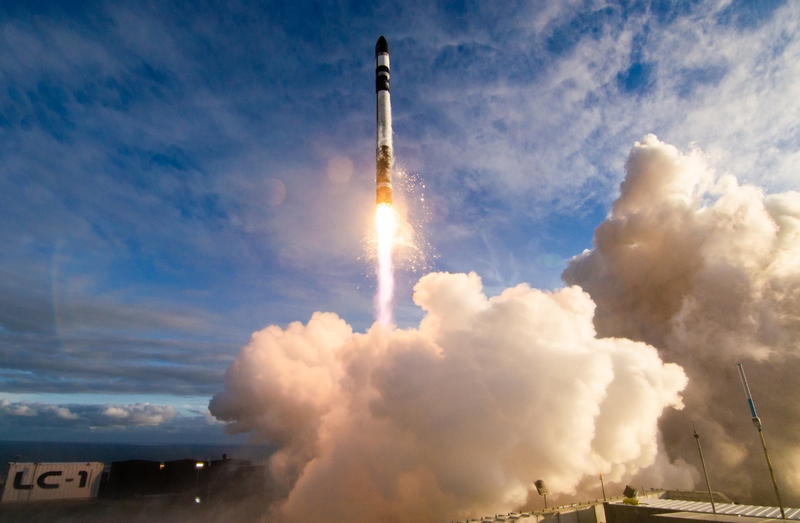 However, delays in the delivery of the R3D2 payload to New Zealand moved the launch to the second half of March. Once the satellite arrived in the first week of March, it was integrated with the Electron vehicle in one of Rocket Lab’s clean rooms at LC-1. DARPA’s teams conducted final ground station configurations prior to a successful launch readiness review on March 21, clearing Electron and R3D2 for launch. Before launch, Electron was lifted vertical at the pad by a transporter/erector/launcher, or TEL. Four hours before liftoff, a refined grade of kerosene known as Rocket Propellant 1, or RP-1, was pumped into the first and second stage fuel tanks. Two hours later, Liquid Oxygen (LOX) was loaded into both stages. These two propellants power the nine Rutherford rocket engines on the first stage, as well as the single vacuum optimized Rutherford on the second stage. Rutherford is designed and built by Rocket Lab primarily using 3D printing and is unique in its use of electric turbopumps. Both stages and the payload fairing that protects the satellite during launch are stacked to a height of 18 meters. Electron’s mostly carbon composite fuselage is 1.2 meters in diameter. The launch took place on Thursday, following Sunday’s decision to call off the launch and changeout the transmitter, resulting in a 48 hour slip. Forecasted high winds moved the launch an extra two days to the right, to Thursday. The team has identified a video transmitter 13dB down with low performance. It's not an issue for flight, but we want to understand why, so we're waiving off for the day. We'll assess and advise a new target lift-off time soon. The standard countdown calls for – at 18 minutes before launch – for the team conducts a go/no go poll to verify all systems are ready for launch. The launch autosequence was activated at T- 2 minutes, handing over control of the countdown to Electron’s computers. Two seconds before liftoff, the nine Rutherford engines ignited, and their health was checked before the vehicle was released from the pad. If any data is outside acceptable parameters, the launch could still be aborted in those two seconds before liftoff, as happened on December 12, 2017, during a launch attempt for the “Still Testing” mission. The first stage burned until T+ 2 minutes 34 seconds, when all nine Rutherfords shut down and the first stage separated. The second stage engine starts at T+ 2 minutes 41 seconds and burns for 6 minutes and 12 seconds. The payload fairing separated at T+ 3 minutes 8 seconds, after the vehicle ascended above the dense portions of Earth’s atmosphere that could cause unsafe drag and heating. Four seconds after stage 2 cutoff at T+ 8 minutes 53 seconds, the R3D2 satellite and kick stage separated from Electron. Rocket Lab’s kick stage is powered by a single Curie engine which, like the Rutherford engine, is designed by Rocket Lab and built primarily using 3D printing. Using a third stage to inject payloads into orbit allows reaching multiple orbits on a single launch, and also allows the second stage to stay in an elliptical orbit that will reduce deorbit time, limiting space debris. The kick stage coasted with the R3D2 satellite for over 40 minutes before igniting at T+ 49 minutes 52 seconds. This burn lasted 1 minute and 53 seconds, and placed R3D2 in a precise, circular orbit. The satellite separated from the kick stage at T+ 53 minutes 15 seconds. The final step in Rocket Lab’s mission will be the kick stage’s deorbit burn, leaving nothing in orbit but the R3D2 satellite. Rocket Lab has made limiting space debris a priority as part of their vision of an expanding smallsat presence and ever accelerating launch cadence. The R3D2 mission was the fifth flight of Electron, and the fourth to reach orbit. Electron’s first flight in 2017 was terminated due to a telemetry issue on the ground. Rocket Lab successfully made orbit for the first time on January 21, 2018, and has delivered a total of 24 satellites over three missions.